2 minutes walk from Omotesando Station Exit A2 to Omotesando area. You can see "Omotesando Hills". Turn to right before "Omotesando Hills", Our shop is located on "Oscar Omotesando Culture School" behind "Omotesando Hills". We have various products including the natural yeast bread, dried fruit, olive oil besides Himalaya rock salt. You can buy our products from Online shop. And you can find our shop at "Aoyama Farmers Market at UNU (United Nations University)". 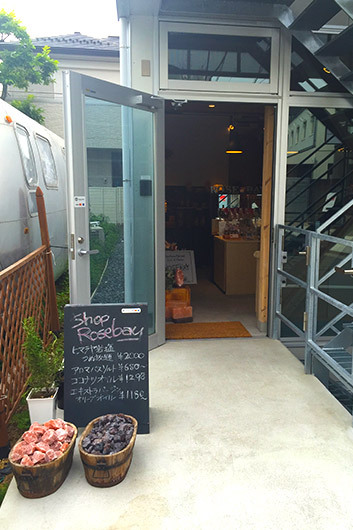 And also you can find our shop at "Market of the Sun" which opened close to Kachidoki Station. 2 minutes walk from Omotesando Station Exit A2 to Omotesando area.